Olive oil, dish soap, rubbing alcohol, water, light corn syrup, honey, a dropper, and food coloring make for a great density experiment. 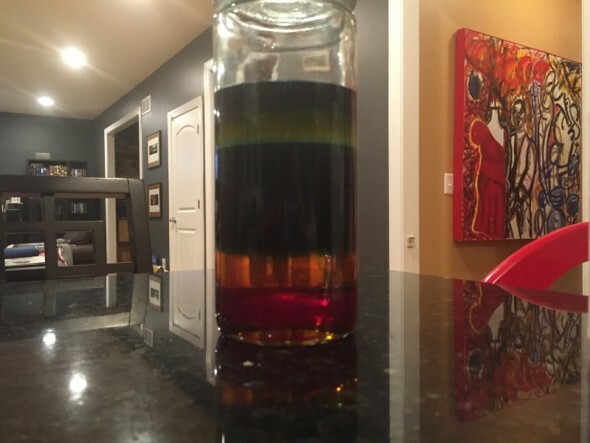 Plus, it makes a rainbow! HFR helped put the ingredients in. I had different color dish soap than the original experiment called for, so we colored our rubbing alcohol and water differently. You layer liquids into a tall, clear jar–make sure they go straight down the middle, do not touch the sides! With the “heaviest” liquids at the bottom, layer honey, then corn syrup (we dyed ours red), then dish soap (orange). 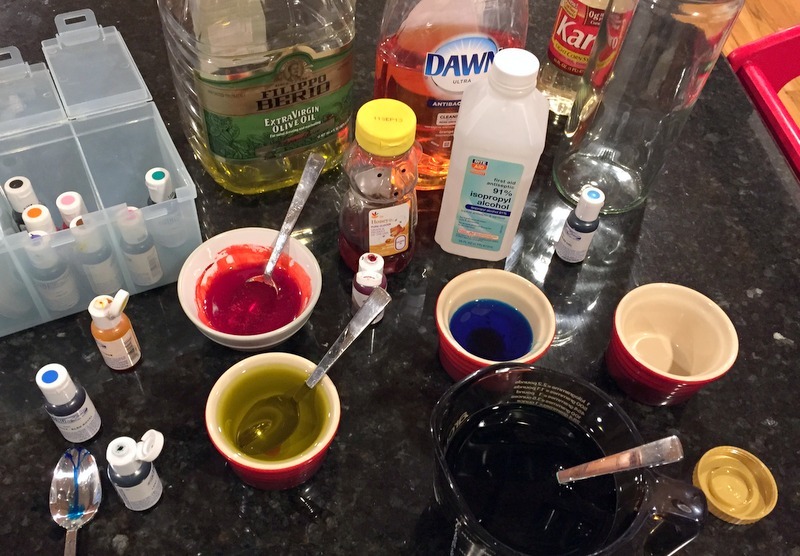 Then water (green), olive oil, and finally rubbing alcohol (blue). 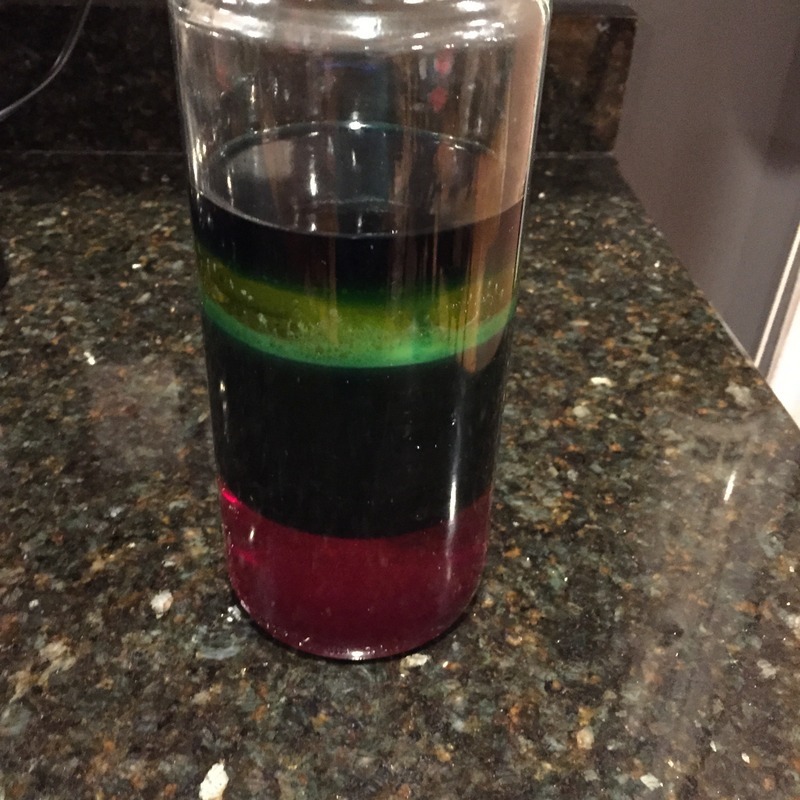 The rubbing alcohol is the only liquid that goes in differently, we used the dropper to have it flow down the sides of the jar like Jen Rice’s directions. Dropping it straight down the middle will make the water and alcohol mix, but using the dropper doesn’t disturb the water layer, and the alcohol sits right on top of it. It was surprisingly tricky to get good photos of this, but suffice it to say H loved doing this. She didn’t fully understand the science behind this as we talked through the experiment, but who cares? 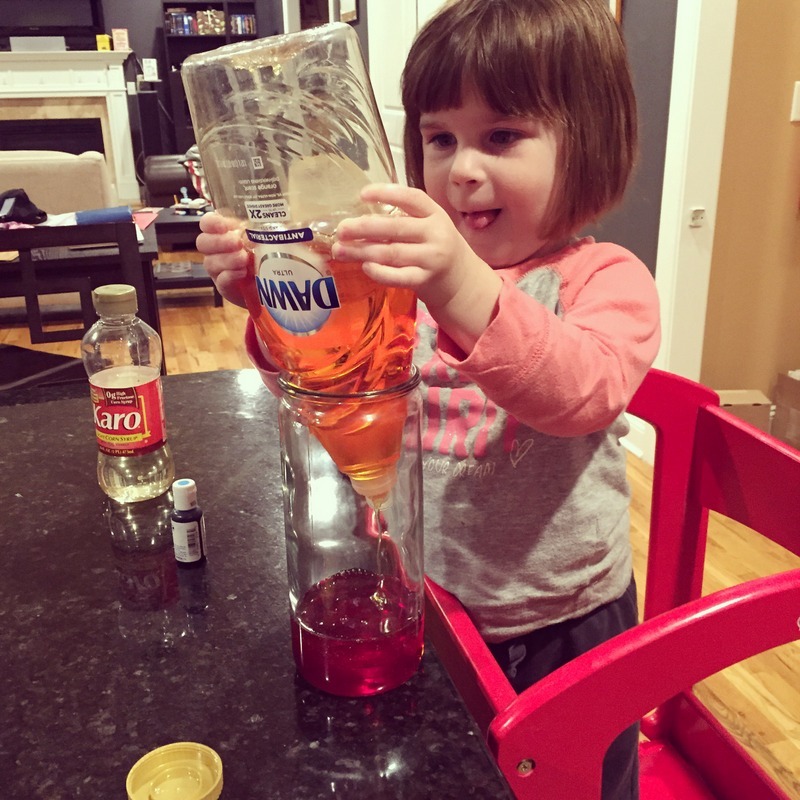 She was still two years old at the time, so I figure just getting her excited about experiments, crafts, and generally making things is enough for now. The understanding will come organically, and in the meantime rainbows are awesome!